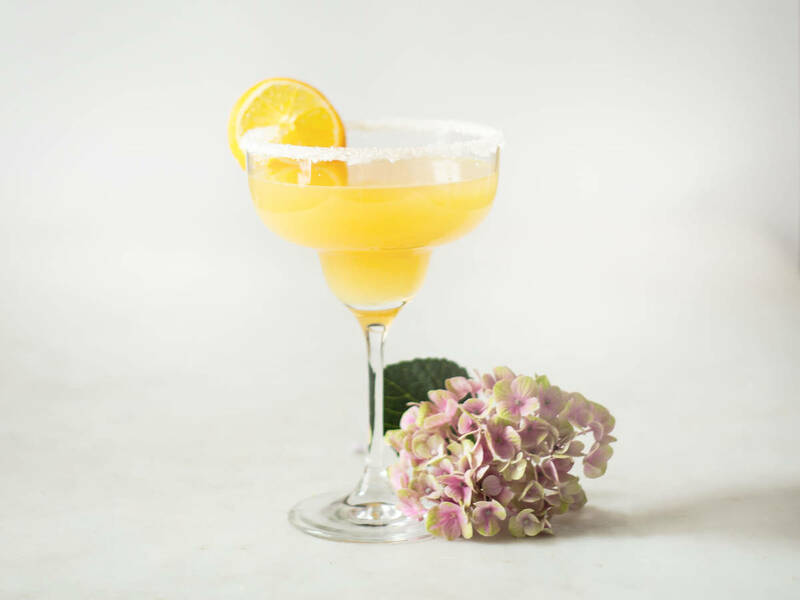 Add agave nectar, lemon juice, lime juice, orange juice, and ice cubes to a cocktail shaker. Shake vigorously for approx. 30 sec. Pour into a sugar rimmed martini glass for serving.